One of China’s best known billionaires, Wu Xiaohui, is stepping aside as chairman of Anbang Insurance. The company gave few details but said he was no longer able to fulfil his duties for “personal reasons”. A Chinese magazine had reported that Mr Wu was detained by authorities last week, but later deleted its article. Anbang is known for a number of high profile international acquisitions, like the purchase of New York’s Waldorf Astoria in 2015. The company, which manages some 1.65tn yuan (£190bn; $242bn) worth of assets, said in a statement that the chairman’s duties would be managed by other senior executives. It did not comment on the report by the independent Caijing magazine that he had been detained. 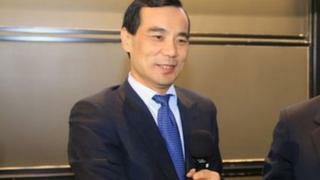 Earlier, Anbang had denied a report by the Financial Times that Mr Wu had been stopped from travelling abroad. Anbang had recently been in talks with a real estate company part-owned by Donald Trump’s son-in-law and senior White House adviser, Jared Kushner. The two sides were reportedly negotiating a deal to redevelop one of Kushner Companies’ Manhattan buildings. The possible deal had raised media speculation over a potential conflict of interest and was called off in “mutual agreement” without any reasons given. Wu Xiaohui had long been considered one of the most politically connected men in China having married the grand-daughter of former leader, Deng Xiaoping. His company has over the past years been among the biggest players of Chinese firms pursuing high-profile overseas acquisitions and investments. In 2016, Anbang paid private equity firm Blackstone $6.5bn for the ownership of Strategic Hotels & Resorts, a portfolio of upmarket hotels and resorts. That purchase added 16 luxury properties across the US to Anbang’s holdings, including the Ritz-Carlton Half Moon Bay, and the Four Seasons hotels in Silicon Valley and Washington.